The Education Department makes learning fun! Whether you're a beginning fishermen or summer camper ready to ride the waves, our staff provides excellent instruction in a positive, safe environment. Veteran anglers teach everything from Family Fishing to Private Lessons. 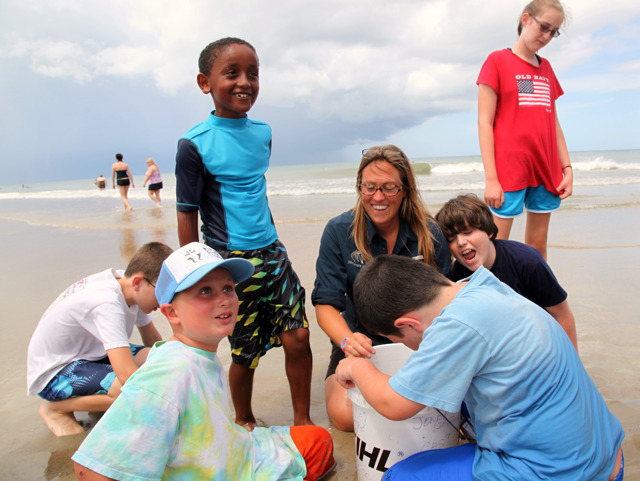 During summer camps, children get the chance to fish, surf, paddle board, catch blue crabs and even go hang gliding. School groups are welcome to visit the Pier and we can even come to you with outreach programs. Come experience what makes Jennette's Pier the place for fun in the sun.